Julia P. Kendall (1825-1874) was one of a very few women from Plymouth, Massachusetts who served as a nurse during the Civil War. She was part of a prominent family. Her father, Rev. James Kendall, had been the long-time pastor of Plymouth’s First Parish Church. She departed Plymouth to sign up as a nurse in June 1862. 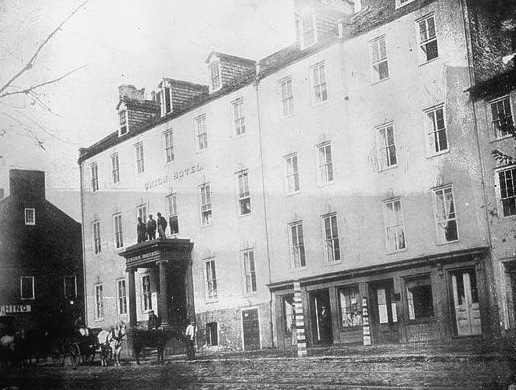 Reaching Washington on June 25, 1862, she applied to Dorothea Dix, Superintendent of U.S. Army Nurses, and was assigned to the Union Hotel Hospital in Georgetown. The Sanitary Reporter, January 1, 1864.